Discussion in 'USA Made Blade' started by Whitty, Oct 20, 2018. We have 2 new Anomascus Hinderer 3" XM-18s available. Both of these have a bonus of an extra filler tab done to match. Now you can swap your clip to tip up or tip down or put both filler tabs on and drop it in your pocket. The first one up is a ghost bronze Anomascus Spanto with Blue G10. 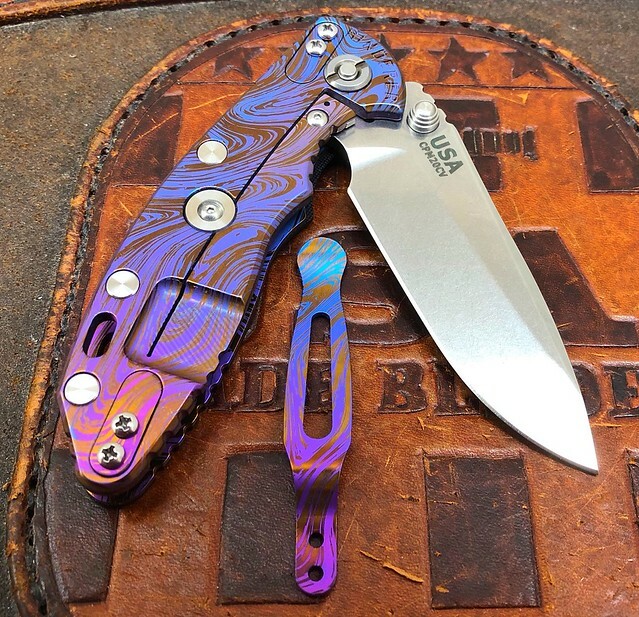 Second up is a Purple to Blue Fade with Dark Bronze Anomascus Spearpoint with Black G10. 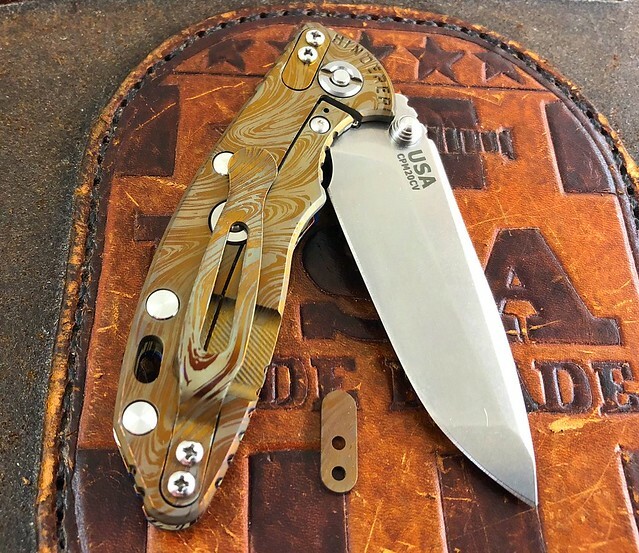 If you have questions about any of our knives feel free to email or call the shop anytime! mjh and stillscout like this.